Have you been to your local run of the mill strip mall lately? Well almost every neighborhood in America has one…or two…or three…oh well, I think you get the point. Strip malls are everywhere! These malls are increasingly home to local restaurants. Some of them are even good restaurants and Best of India happens to be one of them. We walked in and were greeted and seated immediately, which is unusual for 7:00 pm on a Friday night. The interior is average with minimal decorations. Some Indian tapestries, swords, and a captains wheel are hanging from the walls. The tables have white tablecloths under glass with candles adorning each one. Underneath the glass is the drink menu and an unexpected advertisement for a power drink similar to red bull. The drink menu offers beer, wine, and an assortment of non alcoholic drinks such as the Lassi, a cold sweetened yogurt drink. Several domestic beers and wines are available as well as some Indian selections. We kept it simple with a glass of house merlot ($4.50) and bottle of Miller Light ($3.25). The menu is strictly Indian and offers a wide range of appetizers, breads, Tandoori dishes, Biryani dishes, many curries, and desserts. If you want steak or a hamburger, this is not the place to go. With so much to choose from, we thought it would be a good idea to try a dinner special for two. They describe them as starting with appetizers and finishing with desserts…is there any other way? There are two choices for the dinner special; one with meat and one vegetarian. Since vegetarianism is wide spread in India within its Hindi and Jain communities, we decided to choose the Special Vegetarian Dinner For Two ($28.50). Items included are an appetizer plate, choice of two vegetarian curries, basmati rice, choice of bread, and dessert. If you break it down the savings over ordering ala carte is about $6.50. The appetizer plate features Vegetable Samosa (flaky pastry filled with seasoned potatoes and peas), Vegetable Pakora (mixed vegetables chopped, made into balls, dipped in chickpea batter and deep fried), Paneer Pakora (homemade cheese, similar to mozzarella, dipped in chickpea batter and deep fried), and Pappadom (homemade lentil wafers served with green and red onion chutney). Our favorite is the Veggie Samosas. The crust is very flakey like good pie crust, and the vegetables inside have a consistency similar to vegetable pot pie without all the liquid. It is worth noting that the Pappadom is paper thin and crisp, more so then even a cracker. The chutneys that are provided are great for spreading on top of the Pappadom. Each is very flavorful and spicy, but the red onion chutney has a sweet overtone. For our choice of vegetarian curries we picked the Baigan Bharta (freshly roasted eggplant with tomatoes, onions, and green peas) and the Nav Ratton Korma (delicately spiced vegetables cooked in a creamy sauce). The server will ask how spicy you would like your entrée. We choose medium spice, but I would warn you that medium is hot by Minnesota standards. The Baigan Bharta is a mix of finely chopped vegetables served in a bowl. The texture was very soft and velvety. The only thing I can think of to describe this in terms of American food is that of a spread or a dip. It’s great over rice or on the bread provided with the meal. The spices used are so varied and in such large number it is impossible to describe one dominant flavor. If I were to attempt to give examples some might be chili pepper, cumin, cinnamon, clove, and cardamom to name a few. The Nav Ratton Korma also has a wonderful mix of fascinating flavors but the vegetables in this dish are more coarsely cut. Easily distinguished veggies such as cauliflower, broccoli, carrots, peas, with cashews and Paneer cheese in a thick creamy sauce. An interesting side note about the Paneer cheese it even though it tastes a lot like mozzarella, it doesn’t melt when heated. Because of this you may mistake it for a firm tofu. Served with the meal is your choice of Tandoori Breads. These range from Naan, a traditional Indian white bread similar to pita bread, to more complex offerings such as the Alu Paratha which we choose to have with our meal. Alu Paratha is a whole wheat bread stuffed with seasoned potatoes and peas. Again, think pita, but stuffed and baked in a traditional clay oven. It is slightly crisp on the outside and very warm and soft on the inside. Trust me when I say it is worth trying this place just for the bread alone. Also served with our meal was basmati rice. The rice is a long grain variety with a nutty flavor that is light, flakey, and smells similar to popcorn. It is very different than the sticky short grain variety you find in Chinese food. Finishing off our meal we had the Kheer for desert. Served slightly warm it is a lightly sweet and runny rice pudding with raisins and pistachios. I guess the raisins and pistachios are just for flavor since there were none in our dessert. Regardless, it had a crisp clean taste and was perfect for cleansing our palates after a spicy meal. 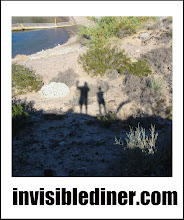 Even though the atmosphere leaves a little to be desired, the food and good service makes up for it. Water glasses were kept full and we were frequently asked about our meal. 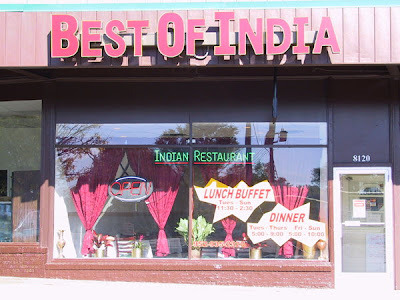 If you love Indian cuisine and are looking for a new place to try, or if you have never had Indian before and want a good place to start, you can’t go wrong with Best of India.